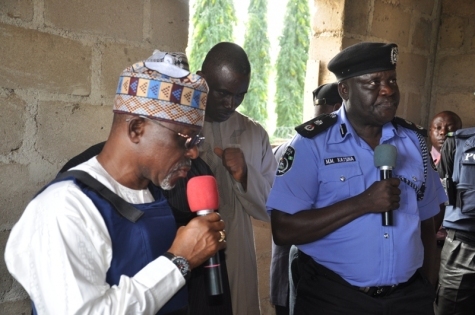 Kogi State Governor Idris Wada is shown above visiting survivors of the Monday attack on a Deeper Life church in Okene where unknown gunmen opened fire during a Bible study. 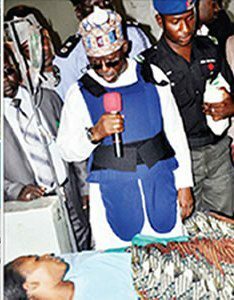 The attack left 17 dead and several others wounded and the Governor went to offer his condolences yesterday, dressed in a bulletproof vest on top of his outfit. Quite the dashing fashion choice. One more picture below.